Songdang-ri, Gujwa-eup, is famed for its beautiful landscapes and they can now be enjoyed on horseback after the creation of a 10km ‘Eco Healing Horse-Riding Trail’. 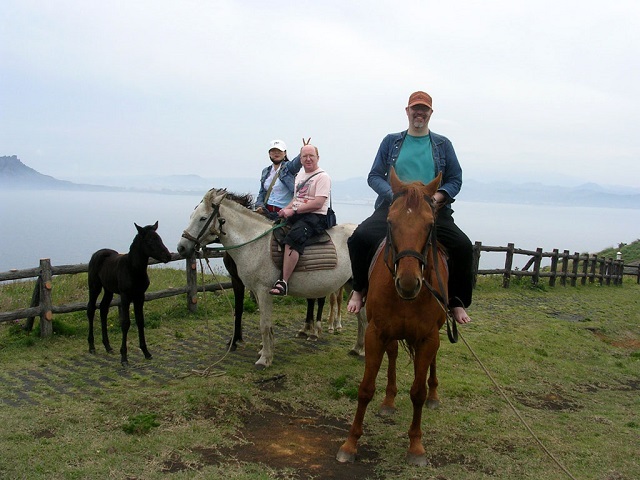 The trail takes in local oreum, or volcanic cones, and local equestrian experts inspected the quality and safety of the trail for horse riding. The opening ceremony was held near Abu Oreum on Nov 21 and the Jeju Mayor Cup National Sport for All Horse-Riding Competition was held. Jeju is a specialized horse industrial zone and villagers hope the development of the trail can further boost the island’s horse brand.